Moringa, Malunggay as it is called in the Philippines, "Sajina" in the Indian Subcontinent, and "Moringa" in English. The malunggay is not only promising niche crop in the Philippines that translates into more income for the planters, it is also an excellent source of vitamins and minerals needed by the body. Many Asians use the leaves of Malunggay (Sajina) like spinach and also the fruit it produces as a vegetable, like asparagus. Both the leaves and the fruits are very nutritious, which contain many vitamins like Vitamin C and other minerals. For centuries, people in India, Philippines, Malaysia, and Thailand, have been eating these leaves as a part of their food. Malunggay is a wonderful herb known all over the world, but only recently discovered in the U.S. It may provide the boost in energy, nutrition and health that everyone seeks. It's a remarkable discovery that can make a tremendous difference in everyone's health and quality of life. Mounting scientific evidence shows what has been known for thousands of years by people in the tropical parts of the world: Malunggay is nature's medicine cabinet. Malunggay is best known as an excellent source of nutrition and a natural energy booster. Loaded with nutrients, vitamins and amino acids, it replenishes the body and provides what one needs to get through a hectic weekday or active weekend. Malunggay is loaded with nutrients. Each ounce of Moringa contains seven times the Vitamin C found in oranges, four times the Vitamin A of carrots, three times the iron of spinach, four times as much calcium from milk and three times the potassium of bananas. What a cheap way of solving malnutrition around the world! Sometimes, people think that solutions to their problems are expensive and hard to find. But more often than not, real solutions to basic problems are abundant, cheap and even free. Health problems are especially solved with natural inexpensive gifts from nature. Gone are the days when one finds himself slowing down as the candles multiply on top of his birthday cake, because Malunggay gives back some of the energy lost. In fact, Moringa is also relaxing... it helps to reduce blood pressure and assures a good night's sleep. University laboratories around the world have studied the plants's ability to purify water... attaching itself to harmful material and bacteria, and allowing them to be expelled as waste. 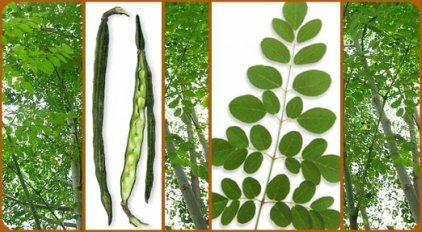 Other health benefits identified by people who use Moringa continue this same pattern: immune system strengthened, skin condition restored, blood pressure controlled, headaches and migraines handled, diabetes sugar level managed, inflammations and arthritis pains reduced, tumors restricted and ulcers healed. Scientifically speaking, Moringa sounds like magic. It can rebuild weak bones, enrich anemic blood and enable a malnourished mother to nurse her starving baby. A dash of Moringa can make dirty water drinkable. Doctors use it to treat diabetes in West Africa and high blood pressure in India. Not only can it staunch a skin infection, but Moringa also makes an excellent fuel and fertilizer. Mark Fritz of the Los Angeles Times wrote, Malunggay has triple the iron of spinach and more impressive attributes than olive oil. Both Moringa and the common carrot are diamonds in the roughage department, but Moringa has quadruple the beta carotene, which is good for the eyes and effective against cancer. Fritz also reports on the positive results of using the vegetable as a substitute for expensive whole milk powder in nutrition projects.